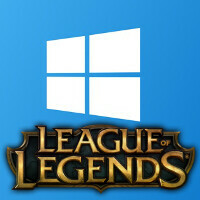 One of the most popular MOBAs (multiplayer online battle arena) at the moment, League of Legends (or LoL, as it's often abbreviated), will hit the Windows 10 store in the foreseeable future. LoL will not be the only fairly-popular game that will hit the platform - CrossFire, a free-to-play online first-person shooter, as well as Dungeon & Fighter, a multiplayer beat 'em up title, will also land on the new Windows store. These popular games will arrive for Redmond's OS thanks to a newly-announced collaboration between Microsoft and Tencent, a large Chinese investment holding firm, which is the publisher behind CrossFire and Dungeon & Fighter, as well as a major share-holder in Riot Games, LoL's developer. It's hinted that LoL, by far the most popular game that is scheduled for release on Windows 10, might be an universal app, potentially reaching as many mobile gamers as it get with its addictive MOBA gameplay. As a refresher, Windows 10 is coming later this summer in some 190 countries. Bring it on, then! Woah nice! It would be great if it will be available to phones as well. But that would be asking too much. Will lol be available on windows 10 phone devices? This is PR bulls**t for win10. League of Legends is a game designed for multi player and multiplayer only via mouse and keyboard. The game is so competitive that your keyboard coordination with mouse must be perfect, not to mention all the skill shots you need to hit precisely with your mouse. NO YOU WONT play LOL on your tablet or your phone. Unless you want to sit around and watch other PC players obliterate you. Now if they develop special version for touch screens to be played only for tablet and phone users thats fine. But this seems like the standard version that will work on any win10 device including phones and tablets which is funny cause no lol player will touch it anywhere else than on a PC. well most tablets allow for 5 touch input at a time. it shouldn't be to much of a hinder, and considering not everyone who plays is some elitist this can only get more people to play. The heck outta here. LoL on a mobile device is a terrible experience. Try Vainglory. Its a MOBA suited for mobile. Its still only on iOS at the moment but the Android port is coming. Planning to buy a Nexus or HTC phone now because of this.